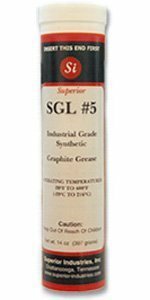 Synthetic Graphite Grease | High Performance Graphite Lubricant | Superior Industries, Inc.
At the top of all synthetic graphite greases, SGL #5 provides excellent lubrication for most industrial applications. The synthetic base of this grease helps it to last longer than non-synthetic greases could, which results in fewer and less frequent re-applications of lubricant. The graphite in this grease helps it to withstand high temperatures and high pressures, and because SGL #5 does not employ a clay based thickener, “bake out” and “carbonization” will not occur. 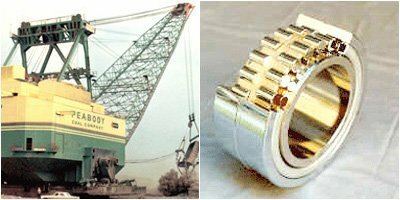 As SGL #5 reduces the amount of friction present, the wear and tear otherwise caused to your equipment is reduced (which results in increased length of bearing life). 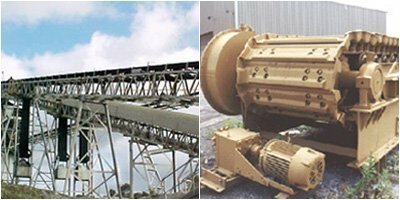 Also, as the friction is reduced, less power is needed to maintain optimum performance and so less electricity is consumed. 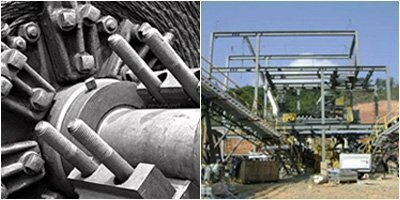 Furthermore, when using SGL #5, the amount of maintenance required to keep your machines running is reduced – and this translates into a savings of time and money for you. 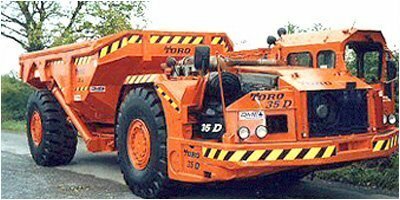 SGL #5 provides excellent lubrication which is able to keep machinery from seizing. It functions well within a wide range of temperatures: Constant from –20°F (-29°C) to 400°F (204°C); Intermittent from –20°F (-29°C) to 420°F (216°C). SGL #5 also holds up great over a wide range of pressures and speed variations. This high performance all purpose synthetic graphite grease is fortified with EP additives, which are extreme pressure additives that chemically react with metal surfaces under high pressure conditions. Under such high pressure conditions, minute irregularities that might be present on the sliding surfaces create localized extreme high temperature flashes. However, thanks to the extreme pressure additives in SGL #5, the heat flashes are confined to those small areas and will not significantly increase the overall median surface temperature. As an added benefit, SGL #5 is also fortified with rust and corrosion inhibitors. SGL #5 is compounded from the purest graphite powder available. It will not char, freeze, carbonize, or run out of the bearings. This grease, which is dark metallic in color, has a shelf life of two years and is categorized as NLGI Grade 2. SGL #5 is non-flammable and non-combustible, and it does not give off an odor or a vapor. This synthetic graphite grease comes in two convenient forms of packaging: standard 14 ounce size grease cartridges as well as 6 gallon (48 lb) pails. SGL #5 can be easily applied by hand or with a grease gun.